Good morning! I hope all my US friends are enjoying this Labor Day. It's cloudy and dreary here, so I'm very glad we spent a few hours at the pool on Saturday before this rainy weather arrived. We aren't planning any cookouts today, but we are happy that my husband is returning from a hunting trip with his friend. He's been gone since Friday, which means I've been doing a ton of reading! That's the one benefit of being left home alone with the kids for three nights! I read two books this past week. 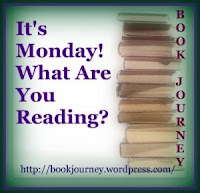 First was The Mine by John A. Heldt, which I really loved. It's a mix of time travel and historical romance. Although I have a backlog of reviews to write, I am thinking of writing this one up this week while it's fresh in my mind. The other book I read is Sitting Kills, Moving Heals by Joan Vernikos. I'll be posting that review tomorrow for the book tour, and then I have a guest post from the author going up on Wednesday. My son finished Justin Case: School, Drool, and Other Daily Disasters by Rachel Veil and also read the next book in the series, Justin Case: Shells, Smells, and the Horrible Flip-Flops of Doom. He was sad to learn that there aren't any other books in the series yet. So he moved on to The Genius Files #2: Never Say Genius by Dan Gutman. I had read the first book in that series to him last year and we both really liked it. Obviously, the reading log he has to do for third grade is getting him back into reading! Last night, I sat up until 2:00 a.m. reading the first half of The 13th Target by Mark de Castrique. It's quite good but I am very tired now! Next, I'll be reading Play Him Again by Jeffrey Stone. Sounds like a nice weekend, happy labour day. It was quite tiresome but worth it! The 13th Target must be darn good if it kept you up that late ;) Maybe you'll have time for a little nap today! It is quite good. Definitely a page turner. Bot The Mine and The 13th Target are going on my want to read list! Love/Hate those books that keep you reading until 2am. Unfortunately, the days of the reading log are behind us now. My youngest son started high school last week, so no more nightly reading requirement...which is a shame because he won't read anymore unless he has to! I don't know how he turned out this way with 3 avid readers in the house, though perhaps it is just the rebel in him - he never wants to take our advice on movies or Tv either! He also hates to sit still. I hope he outgrows his dislike of reading someday. And it sounds like his freshman lit class is going to focus on an anthology textbook rather than novels - bummer. Anyway, I am enjoying my own reading! just finished the 850-page 11/22/63 - excellent book! I'm glad that you're also sharing about what your son is reading, perhaps I should also include a line or two about what my own ten year old is reading :) Great idea. Most of the titles here are unfamiliar to me, thanks for sharing.